While down the shore last summer my sister Kim came across this recipe on the blog Shabby Creek Cottage and she just had to give it a try! 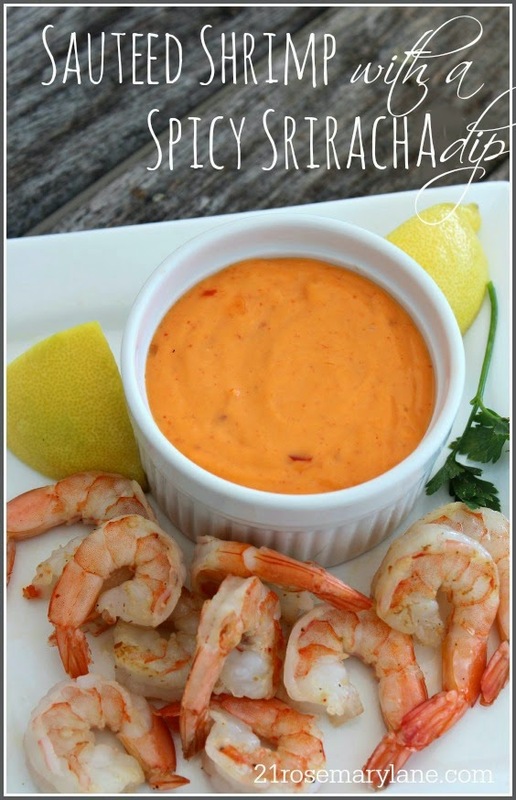 Well I have to tell you that this has quickly become our favorite go to appetizer recipe EVER! Not only is the sauce delish and would be great on sandwiches as well, but it is SOOOOOO flipping easy and fast to make...that's best part! All you need for the sauce is 1 cup of mayo plus 2 tablespoons of sweet chili sauce and 2 tablespoons of Sriracha sauce. Blend together with a spoon or wire whisk and set aside. Then take your cleaned uncooked shrimp leaving the tails on, season with a little sea salt and cracked black pepper and then place in a hot pan with a tablespoon of olive. 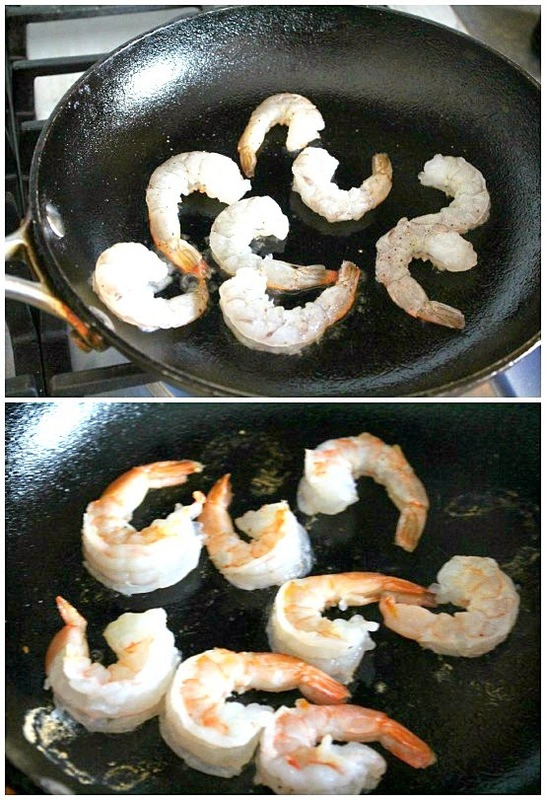 Saute until the shrimp turn opaque and begin to curl. 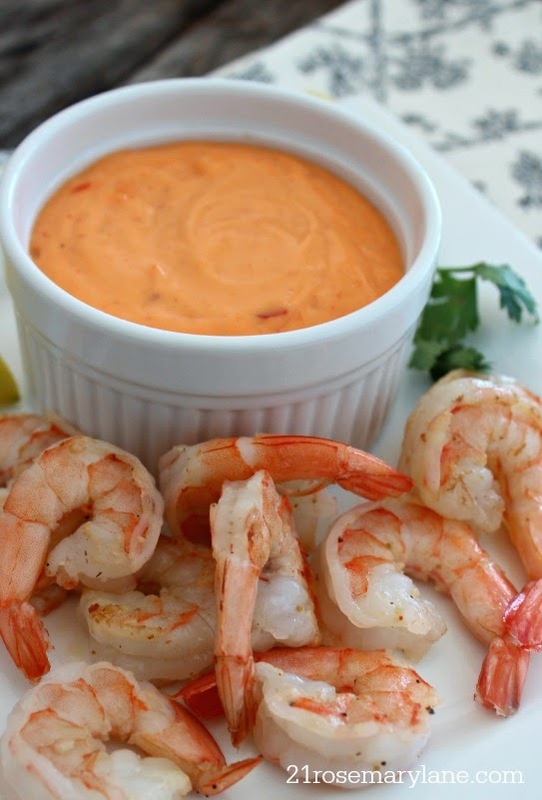 Remove and serve the warm shrimp with the sauce! And that's it! See I told you this was an easy one!!! We made this several times over while at the shore the past summer and even left some of the sauce in the frig for my gal pal bestie Donna and her family to enjoy. And enjoy they did!!! Donna said that her family loved this sauce so much that when the shrimp were all gone she caught her hubby finishing off the sauce with some potato chips!!! Thank you so much Gina of Shabby Cottage Creek for sharing this recipe because it is most definitely worth a try! Oh I love me some shrimp so I definitely have to try this one. Thanks for the recipe. I always read Gina's posts, but missed this one. Thanks again. I love shrimp, also. I will be trying this recipe. Thanks! Looks and sounds sooooooo yummy!! Yummy, Barbara! THese are my favorite kind of recipes... easy and soooo full of flavor! I'll be making this for Super Bowl!!! Thanks!